From the brains behind Deep Ellum boutique Jade & Clover comes Petal Pushers, a very millennial floral concept that makes buying a seasonal bouquet easy. Instead of picking from a variety of styles, you simply choose a size—perhaps The Mini ($28) for a dinner date invitation or The Big AF (upwards of $200) to get out of the doghouse. 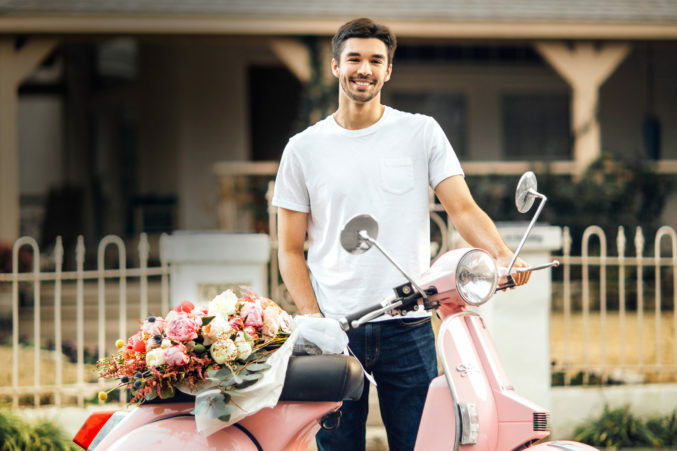 But more memorable than the arrangements may be the delivery method: the shop employs a fleet of pink Stella scooters, all driven by young men who just happen to be ridiculously good-looking.